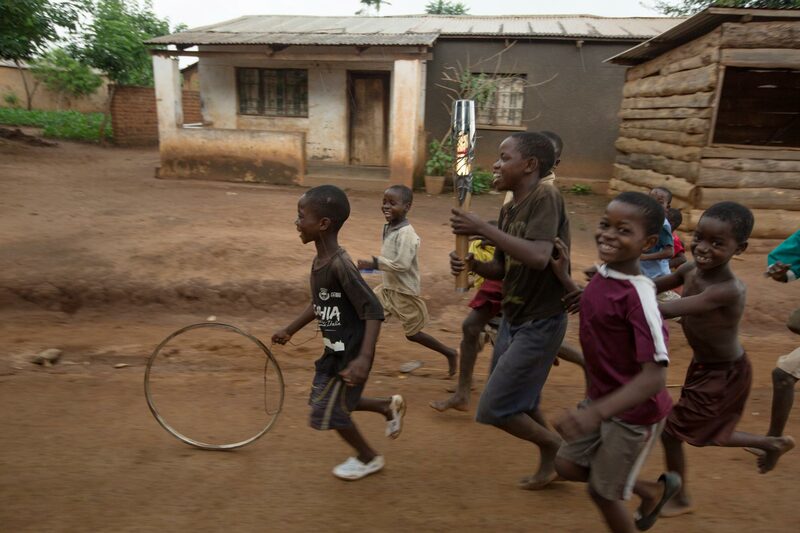 Children play outside the Batik Centre Mtandire, with the Queen's Baton, near Lilongwe, Malawi, on Saturday 25 January 2014. Malawi is nation 31 of 70 Commonwealth nations and territories to be visited by the Queen's Baton. Photograph by Jeremy Sutton-Hibbert, copyright © Glasgow 2014 Ltd, 2014.